Real Coffee Bag Company brings you fresh ground coffee in a bag - just like a teabag. It's as easy as using a teabag, great coffee with no mess - give it a try, it's just great tasting real coffee in a bag! 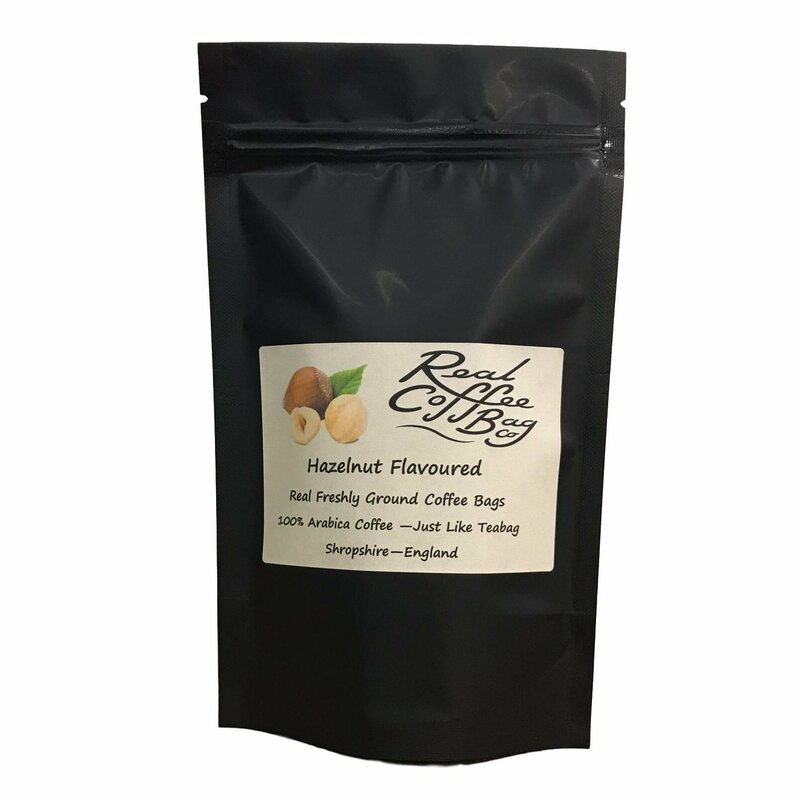 This flavoured Arabica is packed full of Hazelnut flavour and hassle free! Now you can have a flavoured percolated Arabica coffee whenever you like! You won't find a more convenient way to have flavoured percolated coffee. Pouches come in various sizes 25, 50 and 100 coffee bags. I ordered the Vanilla Flavoured Coffee Bags and they are absolutely brilliant! The taste of the coffee is sublime, the bags are very handy and I will definitely be ordering some more. A really good range of samples to try, including decaf. A really good range of samples to try, including decaf. Very impressed with these coffee bags and your company. These are an absolutely fantastic idea, no machines needed, no bench space taken up & are exactly like freshly brewed coffee. I would definitely recommend them. As a fisherman who loves his coffee, these coffee bags are not only a revelation to have on the bank, but it is also just about the finest columbian coffee I have tasted. Practical and easy to use with no mess. will be placing a regular order ! This product is dispatched by Real Coffee Bag Company. This item has a shipping weight of between 135g and 136g depending on the options selected. 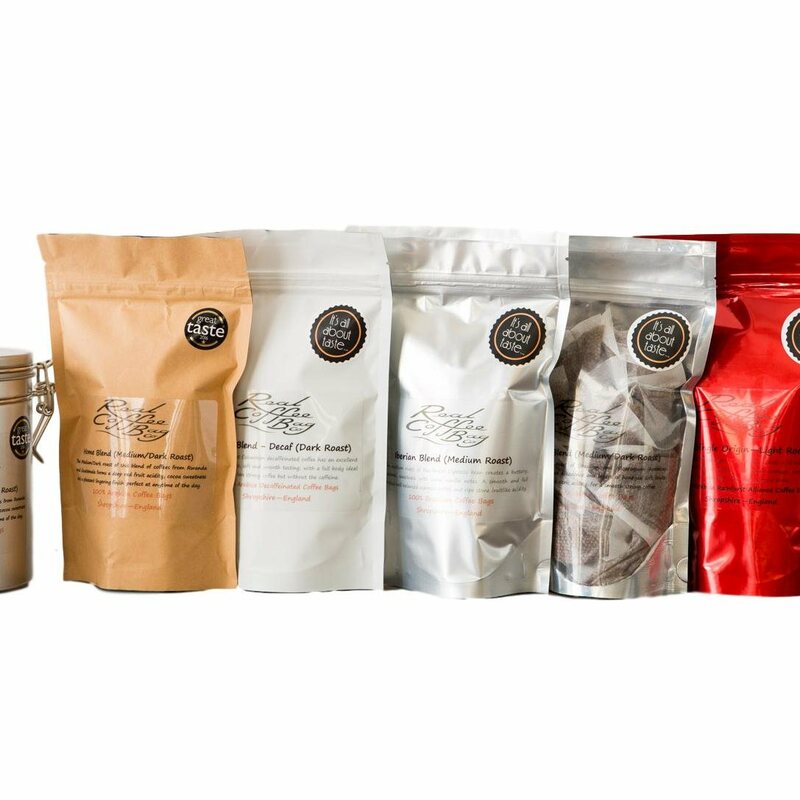 Freshly ground coffee in a bag, the ultimate in coffee convenience, never before has freshly ground coffee been so easy and hassle free!